If your life doesn’t leave much room for brawls and Bond girls, you can still find plenty of danger lurking in your food pantry (and pantries around the world). From serious hallucinogens to lethal cyanide doses, these precarious foods can have you living on the edge in no time. 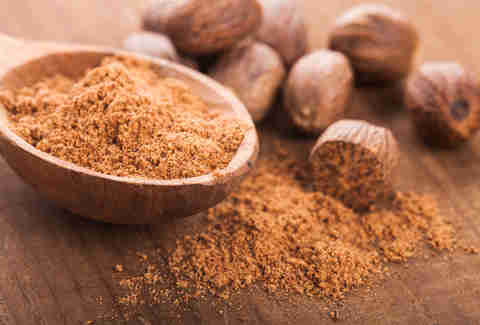 Nutmeg: such a sweet unassuming name for something so dastardly. A light dusting on your cappuccino won’t harm you, but consume much more, and you might fall prey to nutmeg psychosis. Several compounds in nutmeg have hallucinogenic effects, causing a powerful high that can last for several days. As tempting as this might sound, the high usually comes with some nasty side effects like diarrhea, violent vomiting, and nerve disorders. These effects are so common, they’ve been dubbed nutmeg poisoning, and have proven lethal in some cases. Temptation gone. These little bad boys contain a compound called linamarin, which converts into hydrogen cyanide when consumed (cyanide = no bueno). Lima bean plants have developed multiple defense systems to avoid being eaten, with cyanogenesis being the deadliest. 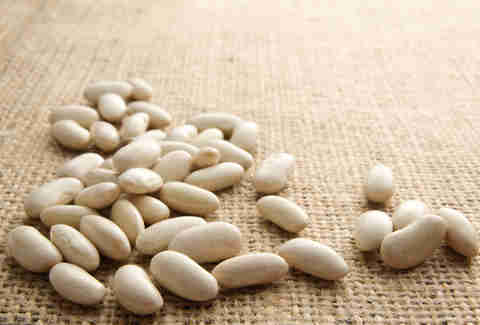 Once boiled for 10 minutes, lima beans lose their lethal linamarin. And lucky for you, most US varieties are required to have low linamarin levels. Just don’t make the “imported raw lima bean challenge” the next viral sensation, and we should all be OK.
Have you ever noticed that cashews are never sold in the shell? You can thank a little chemical called urushiol for that. Also found in poison ivy, urushiol can cause severe rashes, allergic reactions, and even death. 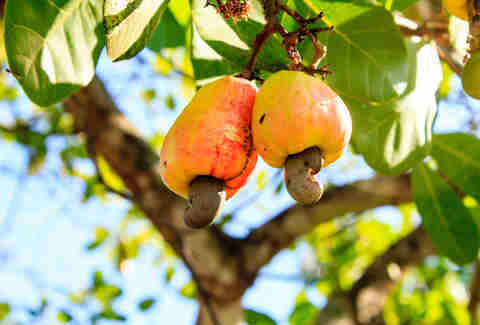 The urushiol in raw cashews is removed through steaming, meaning the “raw” cashews you find in stores aren’t raw at all. So we sincerely apologize if you’re on a strict raw diet. You’ve been duped! But you’re still alive, so hopefully that counts for something. If you ever find yourself in Korea, be sure to try the sannakji. It’s to die for! Seriously. It might kill you. Even after being chopped into little pieces (while still alive), these little fellas put up a good fight. With tentacle suction still intact, swallowed pieces can stick to your mouth and throat, or better yet, crawl back up and choke you to death. Sensitive gag reflexes need not apply. 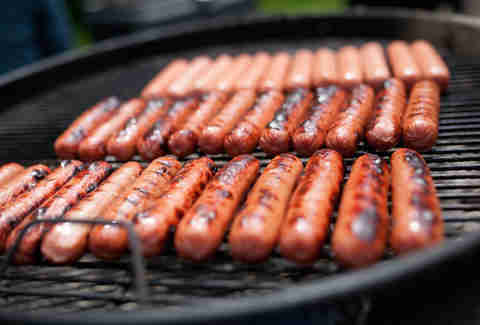 These delectable wieners are often reported as the #1 choking hazard for children and choking-prone adults alike. If that’s not enough to scare you straight to hamburgers, how about the fact that Andrew Zimmern of Bizarre Foods considers hot dogs to be one of the “most disgusting” foods on the planet. Coming from a man who eats goat balls and fermented shark meat, that’s saying something. Nearly one in five foodborne illnesses are linked to leafy greens, earning it a consistent top 10 spot on the FDA’s most dangerous foods list. Bacteria and viruses from dirty growing and handling conditions easily latch onto leafy greens, and if not properly washed or heated to a disinfecting temperature, the germs continue to thrive and multiply. Since you probably won’t be heating your Cobb salad (because that sounds gross), make sure to thoroughly wash all greens, and if possible, buy from sources with clean growing conditions. Otherwise, you might be getting a healthy sprinkle of E. coli on your Caesar. We’ve all been hungry enough to eat some questionably dated and discolored foods. If you’re eying that slightly green potato for an afternoon snack, think again. 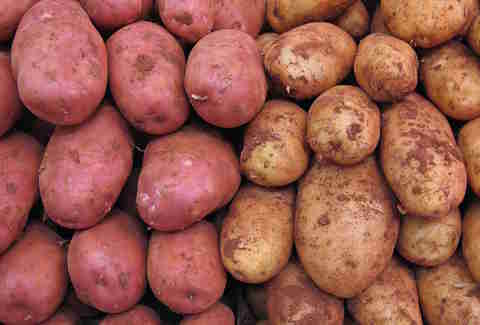 Raw potatoes contain toxins called glycoalkaloids, and as potatoes age (aka turn green and sprout), they become more toxic. There have been countless mass sicknesses and deaths tied to potato poisoning, with symptoms ranging from irritable bowels, to comas... to death. So if you’ve always considered yourself a “meat and potatoes” kind of guy, just make sure those potatoes are fresh, clean, and cooked. 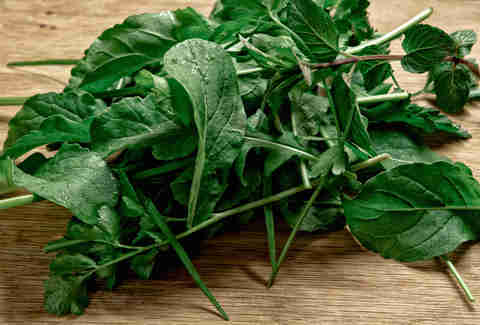 Phytohaemagglutinin: if it doesn’t hurt you when you say it, it’ll sure hurt when you eat it. 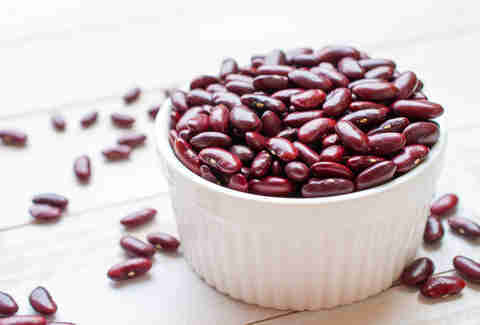 Raw red kidney beans have such a high concentration of this toxic agent that you might end up in the hospital after eating only four to five raw beans. You’d think cooking the beans would kill the toxin, and in most cases you’d be right! But slow cookers often don’t hit high enough temperatures to destroy this projectile vomit-inducing “bad bug.” Oddly enough, undercooked kidney beans are even more toxic than raw ones, so you better make damn sure they’re thoroughly cooked before you serve them. Unless you want to make this year’s chili cook-off a lot more interesting (note: we do not condone such behavior). This isn’t about how processed carbs wreck your waistline and energy levels (that’s for another time). This is about the nearly 2,000 people a year that end up in the ER with... wait for it... bagel-related injuries. Most of these involve serious palm lacerations, with the occasional digit dismemberment. 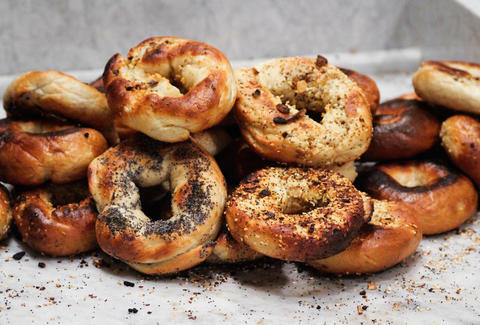 Almost half of these happen with frozen or stale bagels, and most thanks to unwise slicing choices. 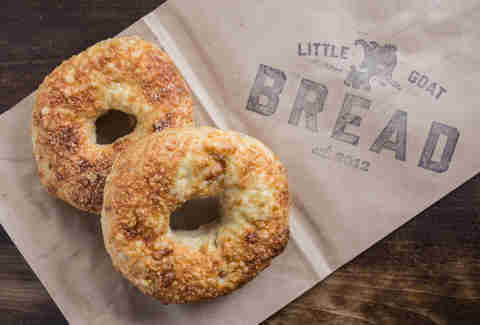 Blood doesn’t have to be a topping on your everything bagel, so make sure you’re slicing it right. Is your spider-sense tingling, or did you just eat some Japanese fugu? Containing a toxin up to 1,200 times more deadly than cyanide, fugu is perhaps the world’s deadliest delicacy. Fugu chefs are required to undergo up to 10 years of training just to safely prepare the fish. The most microscopic dose of the toxin can cause a tingling sensation when eaten. 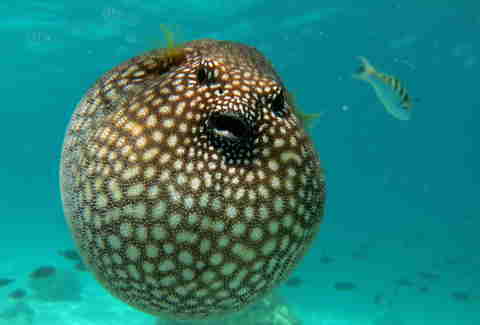 This is the first (and hopefully last) symptom for thrill-seeking fugu fanatics. Higher doses bring on dizziness, incoherent speech, paralysis, and, of course, death. Nicholas Knock is a freelance writer for Thrillist who doesn’t understand why schools let kids play with raw beans. You can follow him on Twitter: @nickaknock.